gonna be doing Air Transat Flight 236. Now. The story of this plane was a major fuel leak on board. The big pipe which is below the small pipes, broke off. Apparently the pilots leaves the cross feed valve on the whole time. Allowing more fuel to transport to each other. 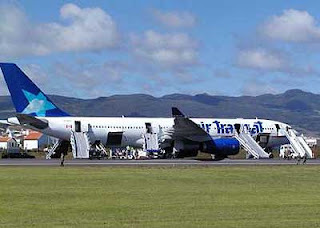 Unfortunately for Air Transat Flight 236, the right engine was disassembled and sent back to Rolls Royce for a repair. Sending a new engine to Air Transat as a replacement of the right engine. Flying in the air, a warning came up. Oil Temp low and Oil Pressure high. Which...ah...I don't really know the problem. The fuel is cold, but it's pressure is rapid. I dunno. But it's like this, I guess. The pilots weren't aware that a major fuel leak has occured at the right engine. Refuse to know that the situation is real. Thinking that it was a computer faulty problem. But the computer was indeed correct. Then when fuel on the right engine has been completely dumped. It fails. With one engine failed, the amount of electricity in the plane is not enough. Cuz' when there's engine power, there's generator power. Generating electrical power. It happens on every commercial jet. Boeings and Airbuses. Then after half an hour, the right engine went out of fuel, and fail. Now the plane is nothing more than a glider gliding in the middle of the night. So yes. This is a common human error. Leaving the cross feed valve in the duration of the trip. Causing something like this to happen. The plane was able to land at Lejes airport. A military base because of an oil emergency landing. 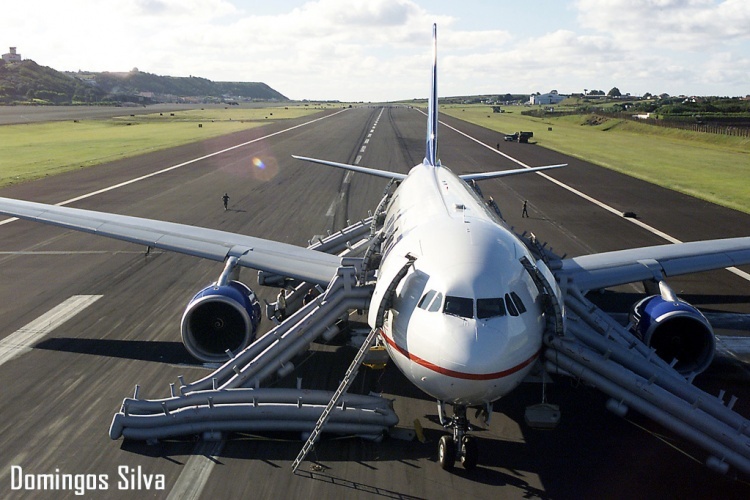 With no engines, spoilers or instruments working, the plane will have to land without a normal landing procedure. The plane manage to land on the runway and brutally scratch the ground with their tires that blown off before the plane came to a complete stop. The entire plane was recovered. They had the pilots, they had the passengers and most importantly, the entire plane itself. So apparently yes, like I said, this is a common human error. Although no one has even seen it occur until Flight 236 had it. Now, as we all know, pilots were only train how to fly. 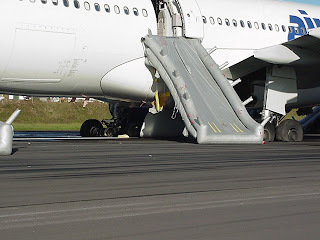 How to handle the flaps, spoilers, slats, ailerons, elevators, rudder, engines and the entire plane. It's okay, it's okay. The highly-experienced Captain and the young co-Pilot continued flying for Air Transat. I'm was however unable to make image links ): The code keeps FREAKING BRAKE!!! Stupid code. What's the problem? I'm just making a freaking link! I think it doesn't allow an img src when it's a YouTube video. It only allows it when only the video's embedding code of it's very own...is paste onto the HTML box. But anyways, now you guys can just go ahead and click the parts of the episode. Or...you can just click the parts by the suggestion bar. Don't forget to: Comment, share and get more viewers.